Sword Art Online Hollow Realization and Fatal Bullet on the go! 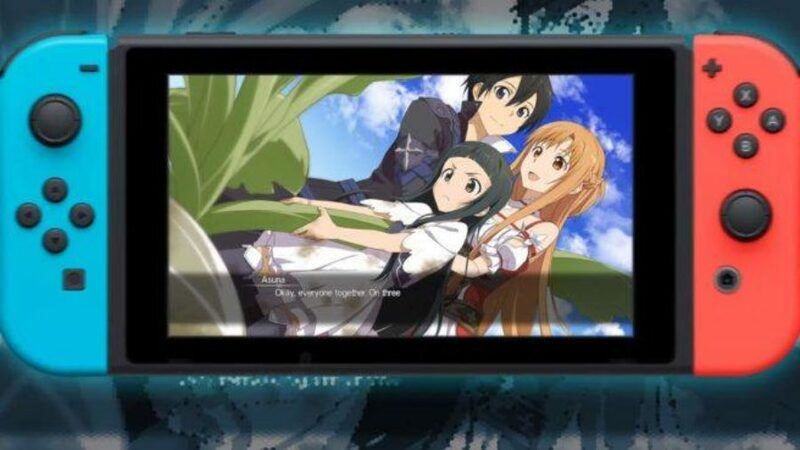 You can now play as your favorite swordsman Kirito on the go with the release of Sword Art Online Hollow Realization and Fatal Bullet on the Nintendo Switch! In Tokyo Game Show 2018 held back in September 2018, Bandai Namco announced that 2 Sword Art Online games will come to the Nintendo Switch; Namely, Sword Art Online: Fatal Bullet Complete Edition and Sword Art Online: Hollow Realization. Earlier, Dengeki Online YouTube channel had a livestream showcasing the newest DLC Expansion of Sword Art Online: Fatal Bullet; Dissonance of Nexus Expansion (Japanese title: Diva of the Snowy Field). However, before they showcased the newest DLC of Fatal Bullet, they first showed a trailer announcing the Nintendo Switch version of Sword Art Online: Hollow Realization Deluxe Edition. Soon after, Bandai Namco US Twitter account also released announcement tweets regarding Sword Art Online: Fatal Bullet Complete Edition and Sword Art Online: Hollow Realization Deluxe Edition stating its announcement. Both the Japanese and North American versions of both games will come will the entire DLC of each game respectively but it is still unknown whether the North American version of the games will also come in physical copy, though only the Japanese version of Hollow Realization Deluxe Edition is the only one confirmed to be having a physical retail release. The Japanese version of Sword Art Online: Hollow Realization Deluxe Edition will come out on April 25 and the pre-orders will start on January 17, 2019. The North American version of both Sword Art Online: Hollow Realization Deluxe Edition and Fatal Bullet Complete Edition will come out in Spring of 2019 for the Nintendo Switch while the Sword Art Online: Fatal Bullet Complete Edition for PC via Steam, PlayStation 4, and Xbox One will come out on January 18, 2019. Pre-order your copy of Sword Art Online: Hollow Realization Deluxe Edition and Sword Art Online: Fatal Bullet Complete Edition for the Nintendo Switch here. Dragonball FighterZ on the go!